Rinse the chicken and dry with paper towels; place in a re-sealable plastic bag. 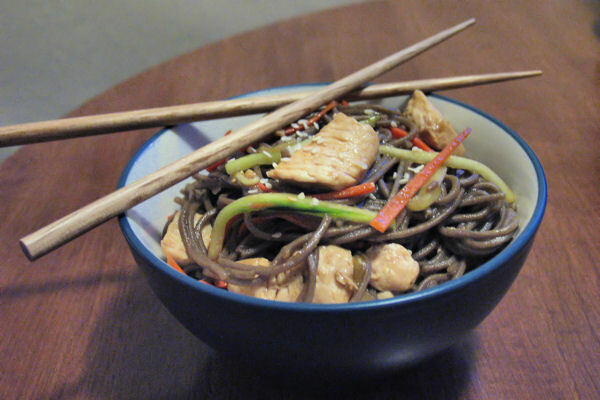 In a small bowl, combine ginger, garlic, salt, sake, citrus juices, sugar, and soy sauce. Add marinade to the chicken and toss to coat. Marinade for at least 2 hours, preferably overnight. 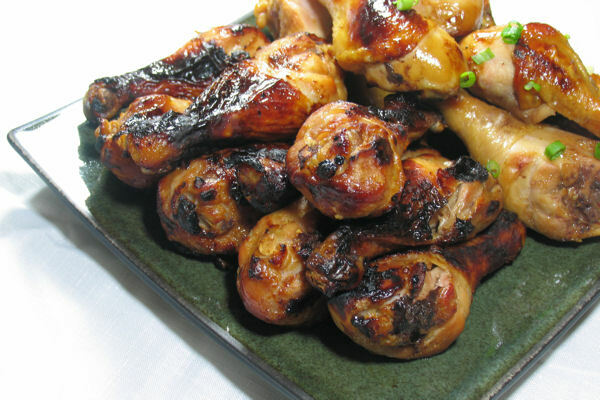 Preheat oven to 400 degrees F. Place drumsticks in a 13×9-inch baking dish, pouring marinade over the top. 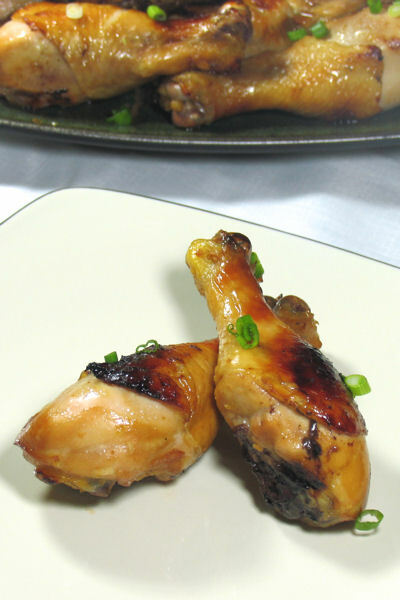 Bake for 30 minutes or until chicken is fully cooked through, flipping chicken pieces halfway through baking. 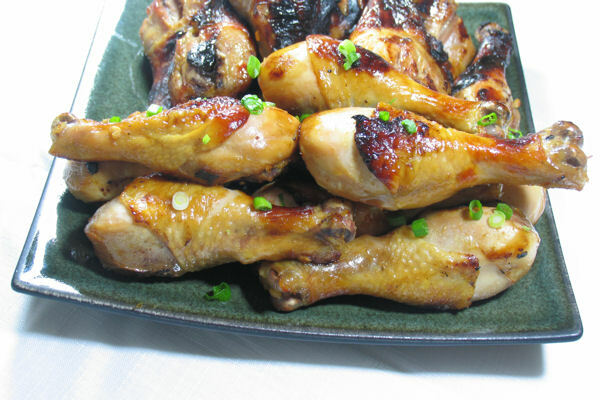 Serve immediately, sprinkling green onions over chicken. 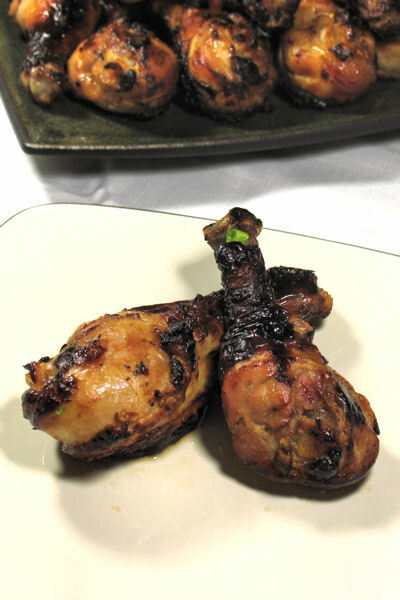 Note: If you use other parts of chicken like chicken thigh or breast, bake at 425 degrees F for 30 minutes, flipping the chicken halfway through the cooking process. Rinse the chicken and pat it dry with paper towels. Place the chicken in a Ziploc bag; set aside. In a small bowl, combine the garlic, miso, soy sauce, and mirin. Add mixture to the Ziploc bag. Seal the bag and toss everything together, rubbing the sauce into the chicken. Refrigerate for at least 4 to 6 hours, preferably overnight. Preheat the broiler on your oven. Line a broiler pan bottom with aluminum foil and spray the broiler rack with cooking spray. Place the chicken on the broiler rack, skin side down. Broil for 10 minutes, or until nicely browned, then flip the chicken and broil for another 10 minutes, or until chicken is cooked through. Serve immediately. I tried Korean food for the first time in college, and immediately fell in love. I’ve continued to try different restaurants and different Korean dishes over the years, and have loved them all. Thankfully, my husband loves Korean food, too, so we enjoy it often enough! We normally try for all you can eat Korean barbecue… we looove bulgogi and kalbi (we love our beef). On one of our more recent visits to a delicious Korean restaurant that seemed like a hole in the wall, I had the privilege of trying kimchi fried rice for the first time. It was so simple, and so tasty, and it even had a fried egg on top, which makes everything better! This is perfect for a side dish or a quick lunch. September is National Rice Month! To see more rice recipes, check out the blog hop over at Mis Pensamientos! Dice the bacon strips into small pieces; set aside. In a large frying pan over medium heat, brown the bacon pieces until crisp. Remove from pan and place on a paper towel lined plate; set aside. Remove some of the bacon fat from the pan, leaving about one or two tablespoons. Add the chopped kimchi to the pan and sauté them well until nice and tender, about 5 minutes. Add rice and mix well with the kimchi. 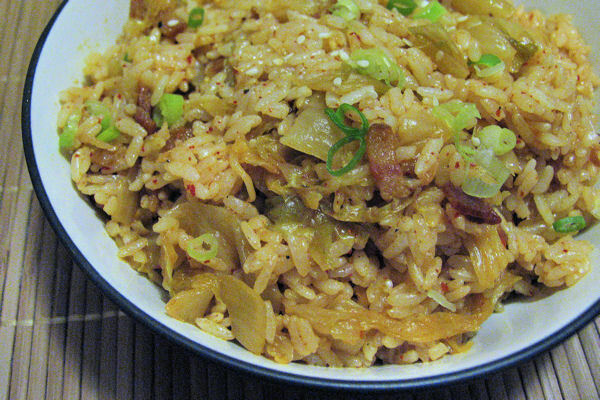 Add the kimchi juice to moisten the fried rice. Continue to stir until heated through. Turn off the heat. Add sesame oil, soy sauce, sesame seeds, and the bacon pieces; mix well. Season with black pepper. In a small skillet, fry eggs sunny side up or over easy (whichever you prefer). 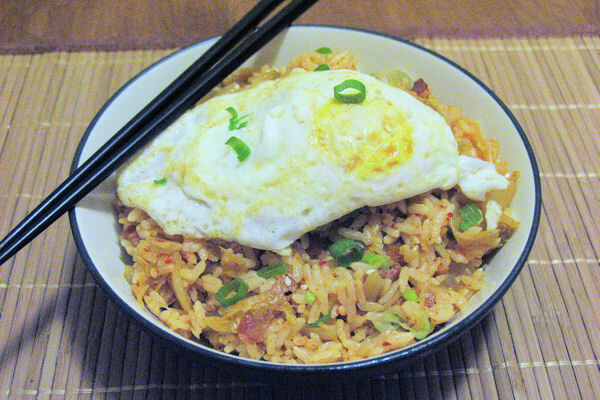 Place on top of the fried rice. Serve immediately.